Palitana was a princely state of India till it merged with India after independence in August 1947. It was the capital of the Kingdom of Rajpipla and Gohil Rajput clan. Rishabha sanctified the hill where he delivered his first sermon. It was his grandson Pundarik, grandson of Rishabha who received salvation at Shatrunjay, hence the hill was originally known as "Pundarikgiri". Bharata, the father of Pundarik and half-brother of Bahubali, also came to Shatrunjaya many times; he is also credited with building a temple here. 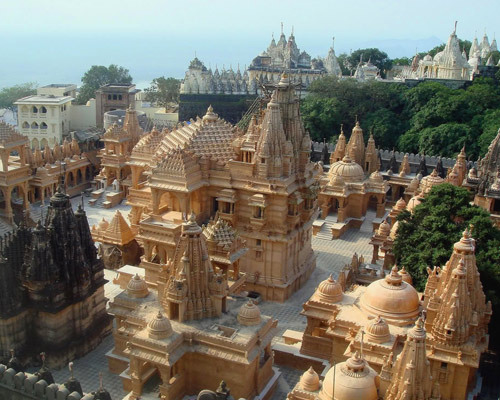 The Palitana temples were built over a period of 900 years starting in the 11th century. They were destroyed by Turkish Muslims invaders in 1311 AD, when the saint Jinaprabhasuri, who was then 50 years old, presided over the temples. Two years later, the rebuilding began. While some temple building activity took place under Samara Shah, it was only two centuries later that it picked up momentum, when in 1593, Hiravijayasuri (Chief of Tapa Gaccha) organized a major pilgrimage to this location to attend the consecration ceremony of the temple built for Rishabha by Tej Pal Soni, a merchant. Following this, there was proliferation of temples here. The most important temples are those of Adinath, Kumarpal, Sampratiraja, Vimal Shah, Sahasrakuta, Ashtapada and Chaumukh. Some of them are named after the wealthy patrons who paid for the construction. Most of them which are now present date to the 16th century. In 1656, Shah Jahan&apos;s son Murad Baksh (the then Governor of Gujarat) granted Palitana villages to the prominent Jain merchant Shantidas Jhaveri, a Svetambara Jain, in 1656, and subsequently when all taxes were also exempted that the temple town further prospered. It was brought under the control of the Anandji Kalyanji Trust in 1730 to manage not only Palitana temples but also many other temples of Svetambara Jains, since the Mughal period. It is said that sculptors&apos; skills and capacity to carve with abrasive cords (not tools) the intricate designs was paid on the basis of the marble dust that they had collected every evening after their hard labour. Kumarpal Solanki, a great Jain patron, probably built the earliest temples. History also makes a mention that Lunia Seth Tilokchand, a merchant from Ajmer led a very large contingent of pilgrims to the Shatrunjaya temples when he heard that there were some disturbances at the Angarshah Pir on the hills. But he continued his pilgrimage and pleased the Pir by his offerings. This tradition is followed to this day by his descendents by offering an expensive cloth to cover the dome of the shrine. Many of these temples are kept in “mint” condition with large donations provided by the rich Jain merchant community. Palitana is a city in Bhavnagar district, Gujarat, India. 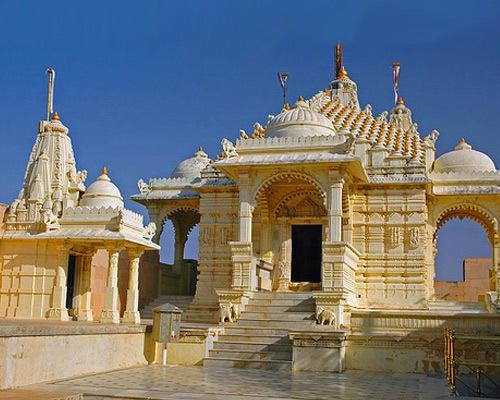 It is located 50 km southwest of Bhavnagar city and is a major pilgrimage centre for Jains. 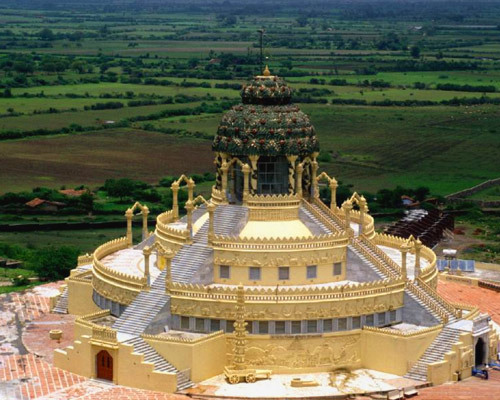 Palitana is located at 21.52°N 71.83°E. It has an average elevation of 67 metres (219 feet). Palitana falls in the Saurashtra region in Gujarat. The best time to travel is in winter between October and March when the average temperature is around 20 degree Celsius. Summer months are too hot in Saurashtra region in Gujarat. July and August, the Monsoons months have a good temperature and weather but the hills at Palitana are closed for climbing.